In our continuing efforts to provide the best advice and support for those facing amputation for their cats and dogs, we have developed the Tripawds Required Reading List. how to keep your Tripawd strong and fit from puppy days to the senior years. We began as a dog-centric community, but each day we are adding more information to help cats facing amputation of a limb. 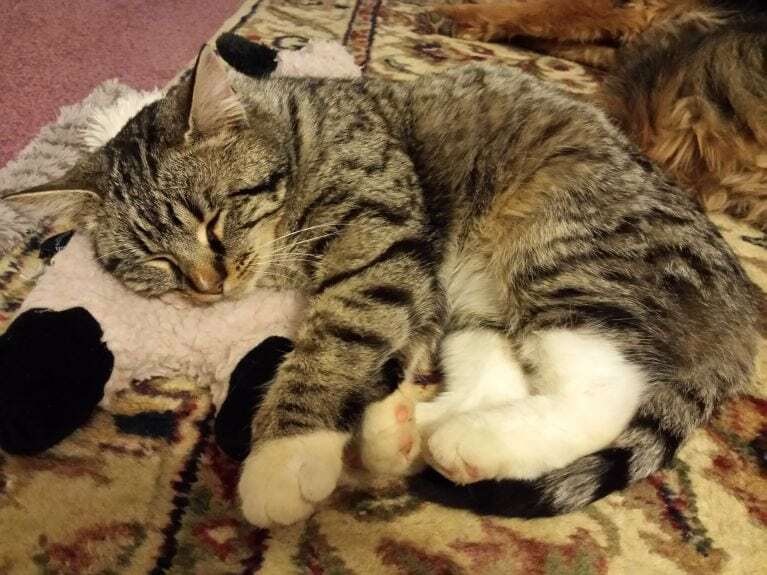 Thanks for your patience as we grow our Tripawd cat information knowledgebase. This extensive list is just a small sampling of informative posts from the Tripawds Featured Blogs. Much more advice can be found by searching the Tripawds Community Discussion Forums. Confused about getting around the community? Check out “How to Navigate the Tripawds Community” for instructions. Call the Tripawd Pals Helpline! Cancer Care: Oncologist or Family Vet, Which is Better? Cancer Care: How Many Chemo Sessions are Best for Osteosarcoma in Dogs? Devices: Wheelchairs for Tripawds, When and How They Can Help? Fitness: If Your Tripawd is Overweight, Here’s What You Can Do. for fast answers to most common questions. Harnesses: The Best Harness for Three-Legged Cats is Here! Pain Management: Can Our Smart Devices Interfere with Our Tripawd’s Pain Relief? Parasites: Controlling fleas, ticks, heartworm and other bugs. Download the Tripawds fitness e-book for tips on staying happy strong. Pre-Amputation: Is Your Vet Following the Latest Pain Management Guidelines? Pet Food: Dog Kibble and Cancer: Is there a Connection? Tripawd Gifts: Show Your Tripawd Pride with Three Legged Dog and Cat T-Shirts, Mugs & More! KillBarney Blog: What is the KillBarney Tour? My 7 year old Great Pyrenees “Sumo” lost his left rear leg to bone cancer 2 1/2 weeks ago. He seems happy and back to his normal self for the most part. My concern is that he still isn’t getting up and around on his own..we still have to “sling” him with blankets to get him outside to pee and poo (which he does laying down). I have seen him hop across the yard a little but he wont stand to get outside. Any tips on how to get him more motivated?? Great question Dawn! Sounds like it’s time to start working on helping Sumo rebuild his strength. You will find plenty of tips for the amount and type of exercise required to keep Tripawds strong in Loving Life On Three Legs. Or, you can search the blogs and forums for many helpful articles and videos. Above all, we strongly recommend consulting with a certified canine rehab tech (CCRP or CCRT). And, the Tripawds Foundation currently has launched the Vet Rehab Reimbursement Program which is providing a limited number of free consultations. Post in the forums for MUCH more feedback from members! This is a wonderful way to help our three-legged furry friends. They need all the support they can get! I’d like to say a big thanks for this site. We have just recently found out Zeus has bone cancer. When our vet told us what the diagnosis was & what to expect were all devastated & just didn’t know what to do or think. Zeus is scheduled to have his leg amputate this week. We know we have a way to go but we are certain he will be back to his old self soon & best of all the pain will be gone. I’m off to the pet store now to buy him a new bed & find some none stick shoes. Thanks for the comment! Best wishes for Zeus’ speedy recovery. Be sure to post in the forums for lots of advice from others. 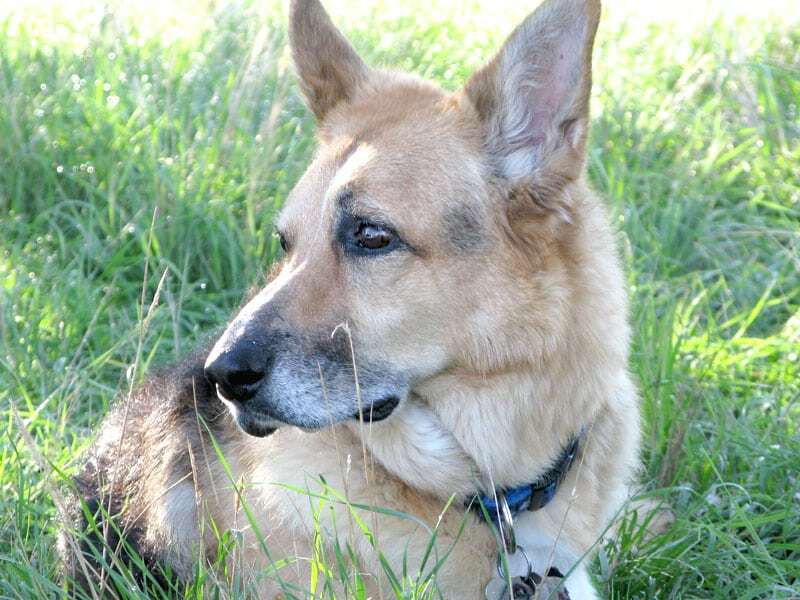 It was a very helpful resource for me when my dog was diagnosed with bone cancer. Unfortunately I one had 1 month with her after her amputation. However, we had wonderful life together and I did everything I could to make sure she was pain free. Thank you for the kind words Tiffany. And bless you for giving your pup the best month ever. May she run free of pain and rest in peace at the Rainbow Bridge with Jerry and all our Tripawd Heroes. I am new to this website because I am preparing to adopt a dog named Bob, who lost his leg in a farming accident in Chicago. I live in San Jose, CA and my friend in Chicago has rescued this precious dog, but she already has 5 dogs of her own. I have always been a dog person having 2 babies who passed away after a short life of 12 and 13 years. I now have 2 cats, which has been new to me and I still miss having a dog in my life. I plan a semi early retirement this year and I was thinking I would like to make Bob a home with me here and my cats. Do you think this would be too much for a dog who lost his leg only a few months ago? Or should I just take a leap of faith and do it? I think after reading your website and reading the ebook “Three Legs & a Spare” I really want to try. I just don’t want the dog to suffer any unnecessary pain in the travel to get out here and adjusting to a life shared with 2 cats. Thanks for asking and bless you for wanting to adopt Bob. If he has recovered and is fit and healthy, the fact that he is missing a leg should not be a consideration about him fitting into your existing pack. Find out if he is good with cats, then figure out how he will get to you. In my own personal opinion, I would never “ship” a dog on a plane. Instead, consider a road trip! Please post in the discussion forums for more advice from others.